Samson arrived with a dog called Goliath, who we assume is his dad. That being the case, he is a dogue argentin cross and the vet estimates his date of birth as being August 2017. So not fully grown yet. Gulp! We know that lots of you like big dogs, though, and when they are as gentle as this lad, why not? To be honest stepping into the cage to take photos of these two was a bit nerve-wracking, as they are very big dogs. However it was almost death by licking; they are really affectionate and are desperate for human contact. They are getting plenty of that at the ScPA, of course, but both could do with new homes. This is Mila’s third time at the SCPA. She is quite a complicated dog, and whereas both her previous adopters were decent enough people, Mila took some time to show her true colours. Truth is that however tolerant she appears to be of other dogs in the short term, this border collie would be far better off as the only dog in the family. She is bright and intelligent, like most borders, but she definitely has her moments. When some people pass her kennel, she is calm and docile, with others she leaps up like an enraged beast. When she finds the right owner she will be the most obedient and devoted dog, but I suspect that it is Mila who will do the choosing. She was born in November 2014 and needs a border experienced home without other animals and where there are no small children or cats. She will make a great dog for the right owner! 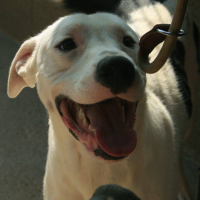 Diana is a fabulous girl who we hope does not get overlooked. She is a young shepherd cross, born, according to the vet’s estimate, in December 2017. We have no idea at all why she is at the refuge, apart from the fact that she is a young dog who needs exercise. Diana is fine with other dogs, she shares her kennel very nicely and although she pulls initially she soon settles down on walks. And bearing in mind she was at the SCPA for over two weeks before going out on her first walk, it is hardly surprising that she had some energy to get rid of. The volunteers who walked her said she was just adorable; really attentive and affectionate. 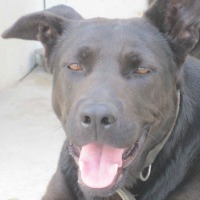 Diana will make a wonderful pet for an active family, either as a single dog or as a playmate. 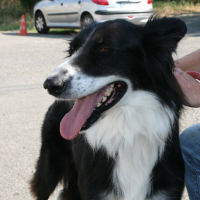 She is vaccinated, sterilised and identified by microchip and her adoption fee is €170. Jax was abandoned by his owners as they were out all day and, left to his own devices, Jax barked a lot. This annoyed the neighbours, and as there was no solution possible (ah-hem), Jax, a young brindle coloured beauceron, was brought in for rehoming. It is probably the best thing that could have happened to this dog. He has seen nothing of life, and is terrified of his own shadow. Even the noise of his food bowl terrifies him. Poor, poor dog. As yet we have not been able to find him a companion to share with, but we hope to do so soon, as dogs are much happier when they are not alone. And Jax has so much to learn, and this will be done far quicker once he is able to share his kennel. So for the moment Jax is a work in progress, but he is in the right place, as the staff will look after him well, have no fear. Jax was born in October 2016 and is vaccinated, identified and castrated. 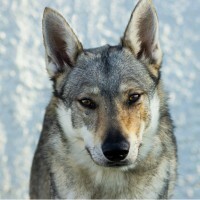 Indian is the second of the Czech wolfdogs at the SPA. She came from a man who rescues this breed but who had become overwhelmed with numbers, and the SPA stepped in to help. 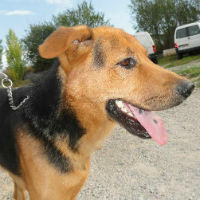 Indian is the mate of Artos, and would prefer to be homed with him and without other dogs if possible. She is about the size of a German shepherd, and timid with people who she does not know. Once she knows someone she will happily lick and nuzzle them, and shows lots of affection. She is not good with dogs other than Artos and cannot be homed with children. Indian was born in September 2013. It was only after the recent DRC photo shoot that I realised that Artos was not on our website, although he has been at the SPA since December last year! 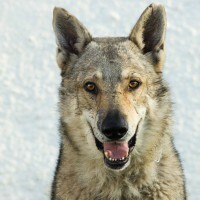 Taken in by the SPA by a rescuer who had bitten off more than he could chew, Artos is a czech wolfdog. If you don’t know this breed, it is worth doing some research, as they are quite particular! Artos is a big male, fabulous to look at and fabulous on the lead. He is good with some females, but does not like males, even of his own breed (yes, he is the Alpha dog). He is very affectionate with people, but we would not advise that he be homed with small children (although he can meet them on walks without any problems). Artos is magnificent and everyone feels a surge of pride whilst walking him. He as born in December 2010. 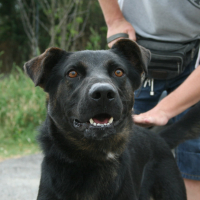 Isidor was abandoned by his owner who has changed jobs and no longer has time to devote to his dog. And Isidor is going to take quite a bit of time, to be honest. 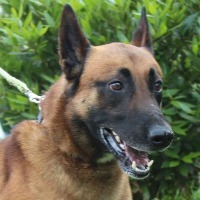 Not a dog for the faint hearted, Isidor pulls a lot on the lead and is a bundle of energy, as is often the case of the malinois breed. We are told that Isidor is fine with dogs and cats and children, but at the SPA he is alone for now, as he has just too much “bounce” for most of our dogs. Isidor was born in May2013 is looking for a home with experienced owners and an enclosed garden where this lad can get rid of some of his energy! It is very sad to see Tyson back at the SPA. His adoptive family was just not right for him and took bad advice regarding his needs. What kind of behaviourist tells an owner that the dog is “insane” and will never be happy inside a house? In any case, Tyson deserves better, so we will do better at finding him the right home next time. 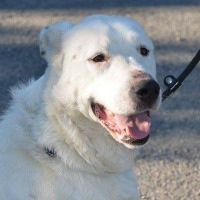 He is a big white shepherd who was born in February 2012. He is fabulous on the lead and is a total pleasure to walk. Although he shares his kennel at the SPA he tends to be a bit more exclusive out of the SPA, so perhaps he would be happier as an only dog. I was at the SPA when Lazar was brought in. His owner cried. Divorce had left him and hence his dog homeless and there was no prospect of a change in circumstance to allow him to keep his dog. 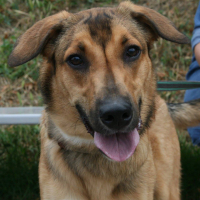 Lazar was born in April 2013 and is a lovely German shepherd cross. He has had no training, but we are working on that. Lazar spends some time every afternoon in the office with dog trainer Carole, where he is learning his manners. He is getting used to people approaching him and is learning not to jump up to greet them. He is turning into a lovely dog, and I have a feeling that with relatively little work, he really will be man’s best friend.